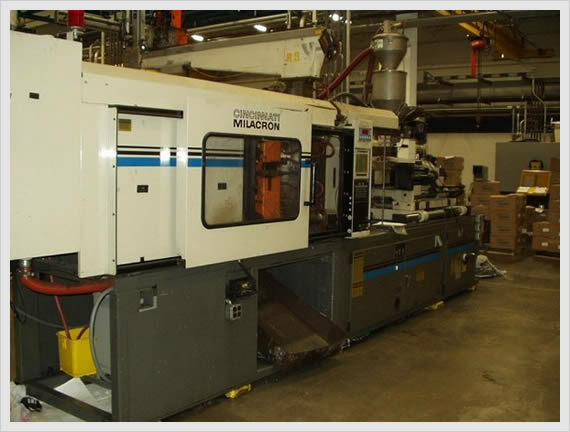 1-off 400 tonne Cincinnatti Milacron Vista Machine with a VEL Micro-Processor Control Unit (Includes Process SPC Package). Fitted with a Pressflow Pacer Pick & Place Robot & Parts conveyor. Maximum Shot Weight - 1500 grammes. 1-off 400 tonne Negri-Bossi Machine with a VEL Micro-Processor Control Unit (Includes Process SPC Package). Fitted with a ENM Pick & Place Robot. Maximum Shot Weight - 1800 grammes. 1-off 250 tonne Demag Ergo Tech Machine with full Micro-Processor Control (Includes Process SPC Package). Fitted with a Pick & Place Robot. Maximum Shot Weight - 690 grammes. 1-off 200 tonne Arburg 520C 2000-675 All rounder Machine with Selogica Control Panel. Maximum Shot Weight - 390 grammes. 3-off 150 tonne Sandretto 1500/612 Machine with full Micro-Processor Control (Includes Process SPC Package). Maximum Shot Weight - 370 grammes. 1-off 95 tonne Battenfeld Moulding Machine. Maximum Shot Weight -195 grammes. 1-off 80 tonne Twin Shot Arburg 420M 800-225 All rounder machine with Dialogica Control Panel. Maximum Shot Weight - 89 grammes. 2-off 80 tonne Demag Ergo Tech Machines with full Micro-Processor Control (Includes Process SPC Package).All fitted with Pick & Place Robots. Maximum Shot Weight- 195 grammes. 2-off 50 tonne Demag Ergo Tech Machines with full Micro-Processor Control (Includes Process SPC Package). Maximum Shot Weight - 95 grammes. 1-off 50 tonne Arburg 320C 500-250 All rounder Machine with Selogica Control Panel. Maximum Shot Weight - 121 grammes. 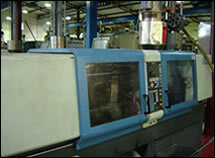 2-off 50 tonne Arburg Moulding Machines. 1-off 40 tonne Sandretto Moulding Machine. Maximum Shot Weight - 40 grammes. 1-off Boy 22D Moulding Machine. Maximum Shot Weight - 27 grammes. 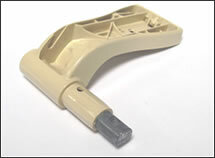 All modern Day Thermoplastic materials are catered for including PA, PBT, PET, TPR, PPO, POM, PC, ABS, PP, HIPS, GPPS, PPS etc. Including filled grades as appropriate to the application (We can assist in material selection if required). The Department is supported by the usual ancilliary equipment including Mould/Water Heaters/Coolers Hot Runner Control Units and Product Conveyors at each machine.